Helping people to recover their lives. Since 1986 John Lucas has operated the Houston-based Wellness and Aftercare Program, a substance abuse recovery program for athlethes. The Aftercare program of counselors is available primarily in cities with NBA and NFL teams created to provide services to professional athletes. 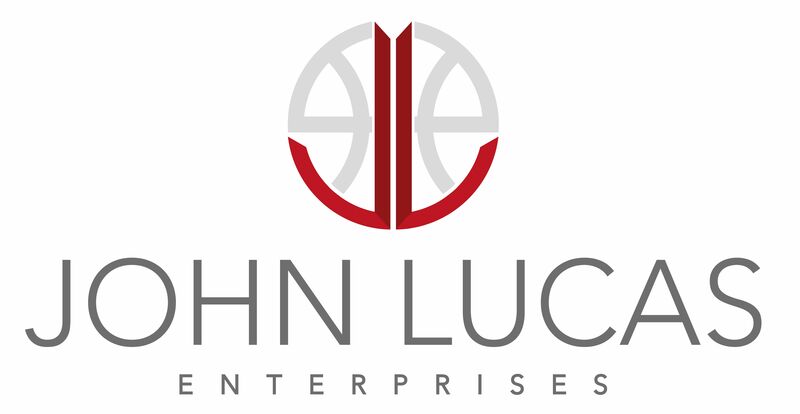 John Lucas Enterprises is renowned for the successful rehabilitative work that is now done with professional athletes, celebrities and public figures that find themselves dependent on substances and not suited for optimum performance. It has been truly miraculous what John Lucas has done with his life. He has gone from alcohol and drug dependency to arguably basketball's most recognized counselor and coach. His largest contribution to the game extends far beyond his abilities as a floor general, assists, points and win-loss records. He is now in the business of saving lives, literally. While in recovery, there was a strong clinical component but nothing formatted for physical conditioning. Lucas began seeing exercise and conditioning as medicine. During his treatment Lucas developed and proposed a program based on exercise and treatment. After his own treatment, Lucas really got to work developing this concept of fitness as a component of treatment and getting hospital-based treatment centers to partner with him. The Aftercare and counseling program that John Lucas helped to develop became the model used by the NBA to help recovering players maintain sobriety when attempting to return to the NBA. The challenge for returning players who are fighting their addiction(s) is to maintain sobriety. Lucas helps to prepare players to stay sober when going back into the environments and lifestyles that helped to contribute to their problems in the first place. A large part of the solution comes when players learn that, "Basketball is what you do, it is not who you are." Free time, bad environments and bad influences only hold sway on you if you have no life outside of the game. That work in prevention led to programs that were put in place when the NBA and the NBA Players Association began to deal with drug issues. John Lucas has since been involved in helping the league and the Players Association develop these programs. Clients in recovery need to attend Twelve Step meetings, visit with counselors about problems and emotions and continue to keep their personal life in order. Sobriety, and maintaining that sobriety, can be the greatest gift that a person in recovery can attain. When they see that no problem or situation they may face in life will ever be reason to go back to that former negative lifestyle, that's when they are really back on track. The gift is the sobriety, the ability to enjoy life to its fullest, to enjoy being who you are and waking up to face the next day. With that in mind Lucas came up with the idea for an organization called STAND, Students Taking Action Not Drugs. STAND was first a crisis center, but later expanded to include a hotline for teens that offered crisis and emergency counseling as well as peer support groups. Coach Lucas has thrown his entire heart into his work, or better yet, his life's work. "I want to be there for others. I was always an assist guy in basketball,but now I give people assists in life, and there's nothing like that. I didn't get sober to get on with my life. I wanted a plan for living and to move forward, and that's what I got." As Lucas' program helps to ease recovering people and professional athletes back into their profession, he helps to provide the ideal step, imitating the pro lifestyle and workout regimen while still providing the clinical support and aftercare that they need.The primary partner and resource suggested by The John Lucas Enterprises Wellness Programs and After Care is The Right Step. HOUSTON - Shortly after he was freed from jail, Kentucky assistant Rod Strickland retrieved his cell phone from police officers and sent a two-word text message to Wildcats coach John Calipari. 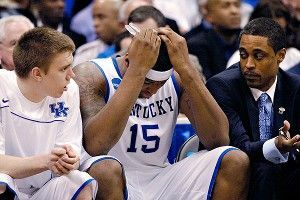 Hours earlier - just short of 3 a.m. on April 12, 2010 - Strickland was pulled over after running a red light and nearly hitting another vehicle a few miles from UK's campus. The smell of alcohol still on his breath, Strickland could hardly remember bumbling through the ABCs, attempting to balance on one leg or being escorted to a police car amid the glare of flashing red lights. But he certainly felt the shame as he sobered up later that morning, when word began to spread that the former NBA All-Star had been arrested and charged with DUI for the fourth time.